Pasta specialties, stromboli, and cannoli are delicious delights. When Villages residents pack an Italian restaurant, it’s a strong indication the place is a big hit. Sammy’s Italian Restaurant in Pepper Tree Plaza on U.S. Highway 301 in Wildwood has become such a popular dining destination that an expansion is in the works. During a weekday lunch at Sammy’s, Leigh Neely and I were joined by Italian colleague Anthony Rao as we enjoyed a wonderful meal that began with six scrumptious, warm garlic knots, followed by our entrées. 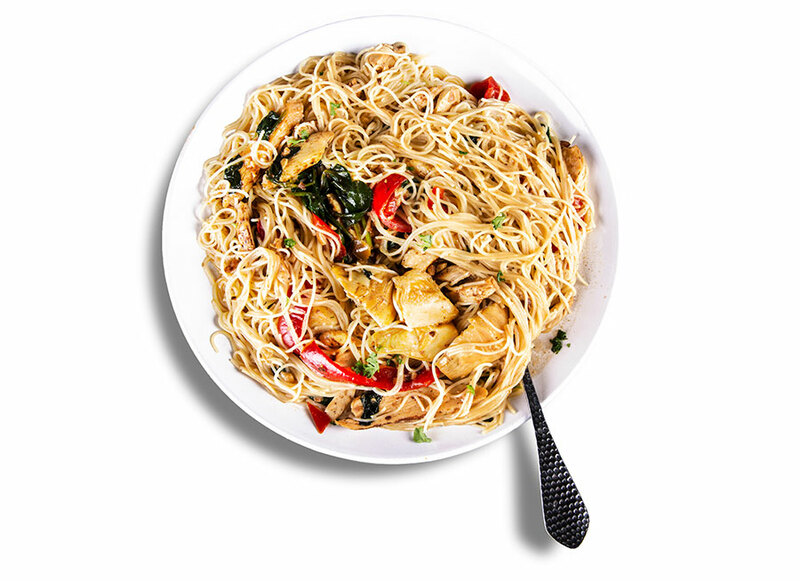 Leigh loved the delicate flavors of her pasta, Chicken a la Sam, featuring sautéed chicken strips with spinach, oven-roasted peppers, artichokes, and angel hair pasta tossed in a light garlic butter wine sauce. My Stromboli was baked to perfection, filled with Italian sausage, pepperoni, red sauce, ricotta, and mozzarella cheese, and served with fresh marinara sauce. We finished our meal with scrumptious desserts of homemade cannoli and powdered-sugar Zeppolis, and we will definitely return for more of Sammy’s tasty Italian specialties. Specialties: Chicken marsala, veal Francese, variety of pasta dishes, pizzas, calzones.